Hello! Whooooo am I? 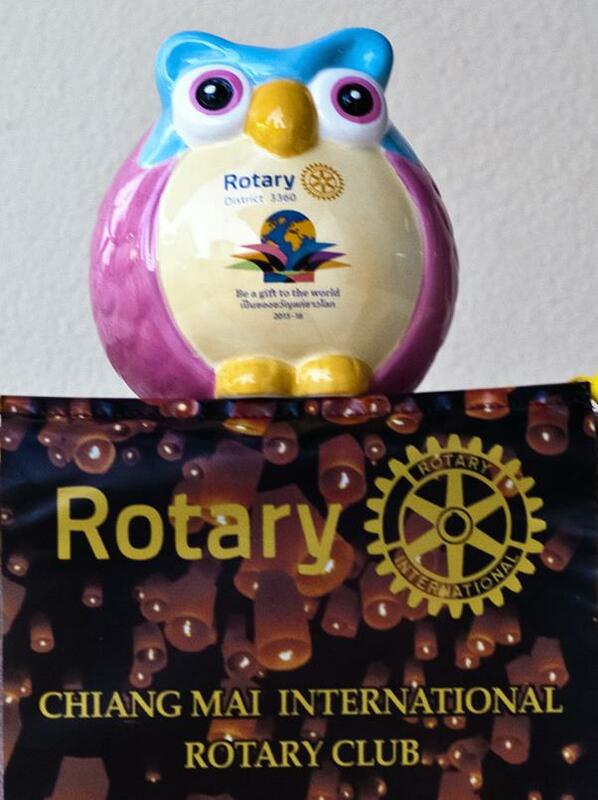 I’m the “Change for Children Owl Bank” from the Chiang Mai International Rotary Club (CMIRC). Adopt me, take me home and feed me your loose change, then bring me back and swap me for another hungry owl. 100% of the money generated by me goes to support CMIRC’s Projects for Children. You can bring positive change to the lives of Children in Northern Thailand. Adoption fee is only 200 baht per owl. Sadly, for now, we will not be at the CEC sponsored breakfasts at the River Market. Owl adoptions and exchanges will be at the CMIRC membership table at all CEC monthly meetings. We will also be at the Warm Heart Foundation Earth Day at Promenada Mall on 22 April. Kind citizens who will not attend CEC events are invited to contact fundraisers@cmirotary.org to arrange for an owl adoption or exchange. You may also call 089-556-4293 or send a Line message to jerrycnx. Children’s Water Safety and Drowning Prevention: Prevention of the leading cause death for children in Thailand – Drowning. All poor Chiang Mai public school fourth-graders are taught survival swimming and water safety each year (approximately 400 children/year). Children’s Sight Project: Providing free eye examinations and spectacles to poor children in Northern Thailand. Burma Children’s Medical Fund B.K.Kee Patient House. Houses Migrant Children and their families while they are receiving needed medical treatment at Suan Dok Hospital. Mae Tao Clinic: See’s 300 – 500 patients per day, averages more than 10 live births daily, has outlying clinics in Myanmar. MTC Child Protection Center conducts Child protection training, schools up to 1,000 migrant children per year, and more. Annual Children’s Winter Clothing Appeal: Distribution of warm clothing to hill tribe children in the coldest areas of Northern Thailand. Remember your small change can mean a big change in the lives of poor and disadvanted children in Chiang Mai and the North. 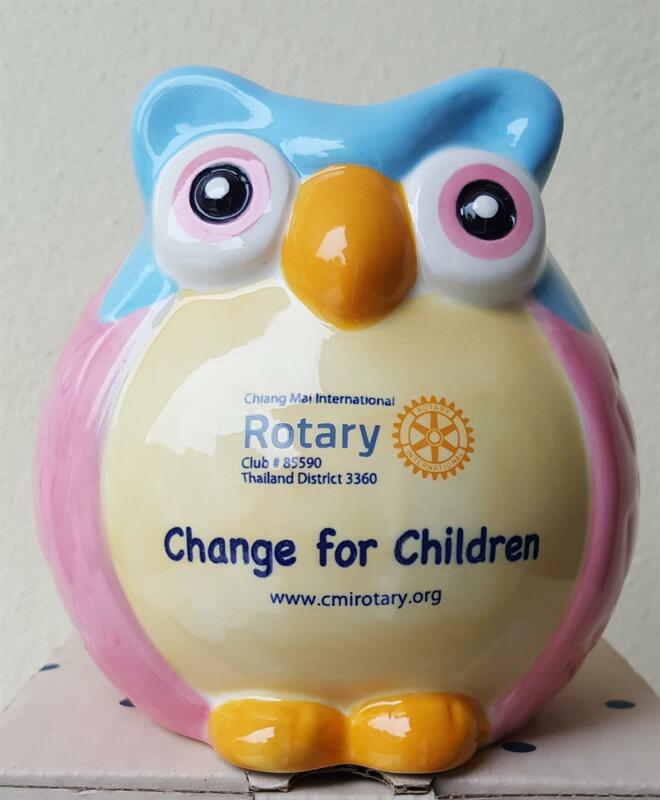 Contact fundraisers@cmirotary.org to arrange for an owl adoption or exchange. You may also call 089-556-4293 or send a Line message to jerrycnx.